Meet AZ screen recorder that let's you record your smartphone/tablet screen at free of cost ! You don't need to root your device for this app to work. Record your gameplay screen browsing history and other fun stuff that you are willing to share. 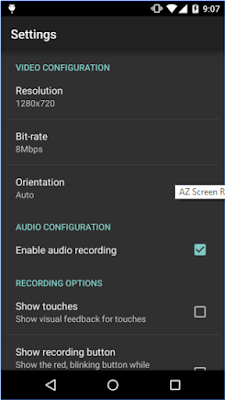 AZ screen recorder record your screen to HD videos and it is the only app in the Android market that can be paused while recording. 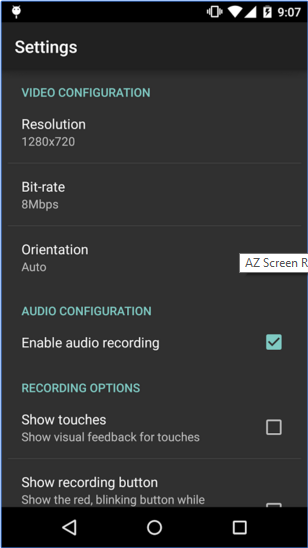 You can also record audio from the mic and it is automatically mixed into the screencast videos. That makes it very convenient to create tutorial, comment about your game and gameplay or record video chat. 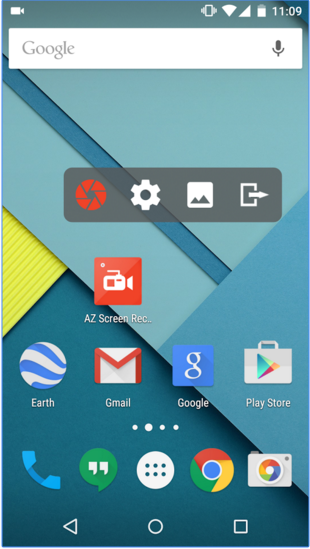 Note- This app only works on Lollipop upgraded Devices. 1.Magic button : a button that controls your recording without showing anything on the screen. Thus, your video viewers will solely focus on the app, the game or whatever you want to screencast. 2.Overlay front camera : you can record your face and your emotions in a small overlay window, which can be dragged freely to any position on the screen and customized to any size and opacity. 3.Countdown timer : is there something you have to prepare before recording ? Don't worry, the countdown timer will wait until you are ready to start and snap at the moment you want. 4.Draw on screen : this unique feature is huge when making a tutorial. You can emphasize, draw a symbol or mark something with any chosen colour directly on your screen. 5.Trim videos : the screencast can be long and contains unnecessary information, you can trim the parts you don't want to make your videos even more impressive. 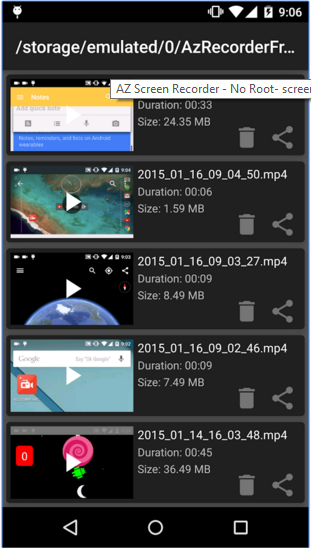 6.Additionally,screen recorder has setting video resolution, bit-rate, screen orientation, customized timer to stop, saving directory selection, view/share or delete your recorded videos... All of them are free for you! 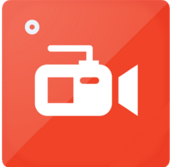 The free version consist limited features but it will do the work,and the pro version will let you record your face while recording screen etc.Have a look at it's full features .